Isla Negra, a fishing village on the Chilean coast, 1970-73. 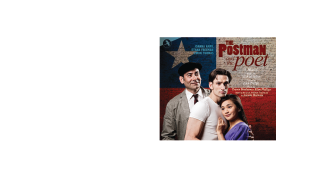 Mario, inarticulate and wildly romantic, gets a job as postman to the poet Pablo Neruda. Learning from Neruda, Mario woos the beautiful Beatriz in a way that is unusual to her: in words. The pair fall in love, and after being caught in a delicate situation are forced by Beatriz's mother, Rosa, to marry. She puts the couple to work in her taverna. The up-and-down love story of Mario and Beatriz is set against Chile's political backdrop in the years between the election of Marxist president Salvador Allende in 1970 and General Pinochet's military coup of 1973. Throughout the story, Cosme, Isla Negra's postmaster and a dedicated left-winger, clashes with Labbe, the right wing political deputy, a contest which ultimately costs Cosme his life. Meanwhile, Mario's hero-worship of Neruda leads him to become not only poet and lover but a Marxist follower as well. His notebook, in which he has naively written 'Mario Jimenez – Communist' is found by Labbe, now a henchman of Pinochet, and as Neruda is taken into custody Mario becomes one of Chile's 'Disappeared', leaving Beatriz about to give birth to their baby. 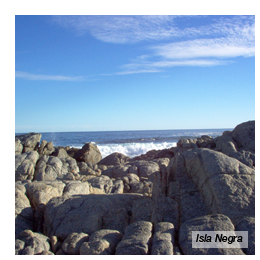 She and her mother leave Isla Negra, in the hope that the child will embody the spirit of poetry and freedom with which Neruda has entrusted Mario.